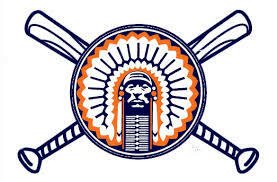 The Illinois baseball team swept Saint Louis with a 6-2 win Sunday at Illinois Field. Jason Goldstein had three hits and Cole Bellair earned his first career win on the mound. Illinois (17-16) scored two runs in the third, sixth and seventh innings and outhit Saint Louis 10-8. Adam Walton and Trent Hammond both had two hits for the second straight day, while Michael Hurwitz extended his hitting streak to nine games. Hurwitz has 19 hits during the streak. Bellair (1-2) struck out a career-best six. He allowed two runs on five hits in 6.1 innings. Nick Blackburn (1.1 IP, 0 R) picked up his eighth save, after Charlie Naso (0.2 IP, 0 R) and J.D. Nielsen (0.2 IP, 0 R) bridged the gap. Following Tuesday's game against Eastern Illinois in Mattoon, Illinois, the Illini have six straight home games. Ohio State visits April 22-24 and Minnesota comes to Champaign April 29-May 1.